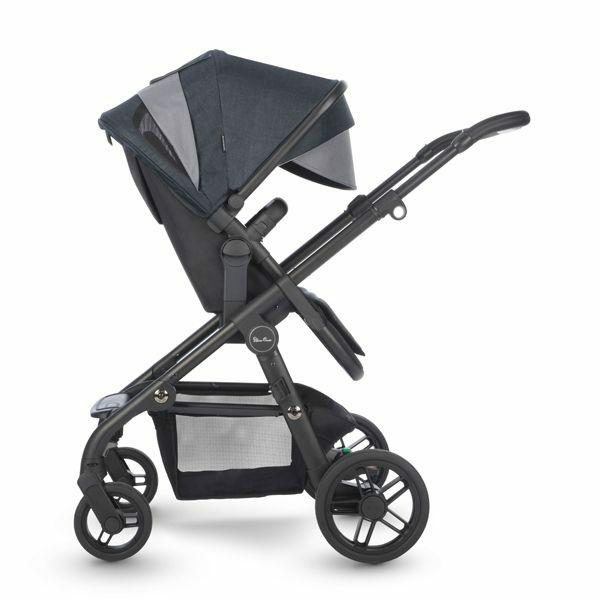 The Silver Cross Coast is Silver Cross’s lightest and most streamlined single to double stroller. 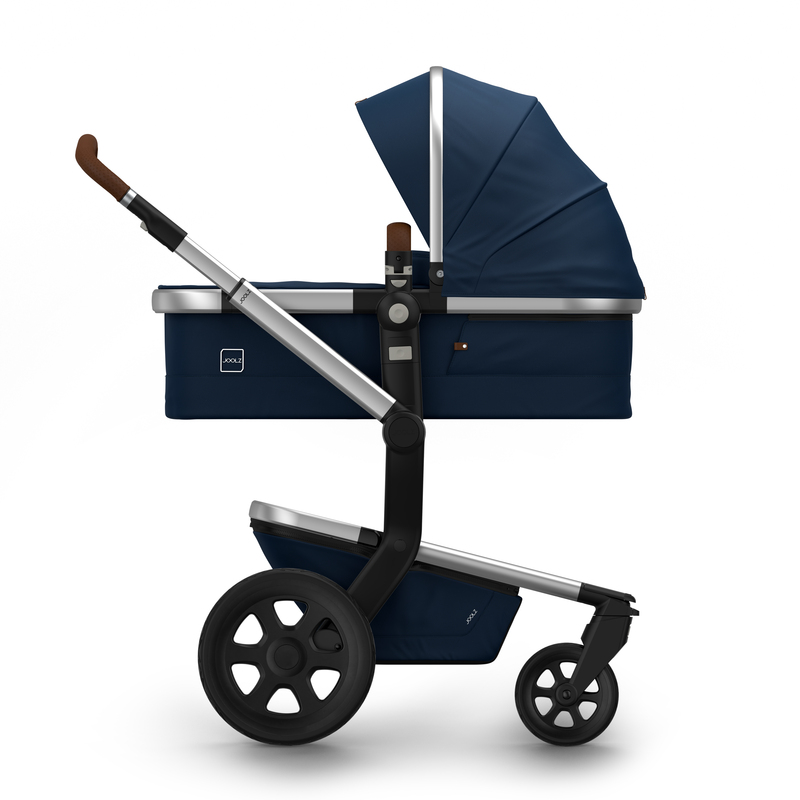 With the addition of a tandem seat or car capsule adapters, the versatile Coast can achieve up to 27 different configurations, making it the perfect solution for busy parents on the go. Coast provides a new spin by using a tinted, moody and darkened palette with paired down detailing combining artistry in fabric qualities to create a collection for the next generation. Coast is available in Flint, a dark ink-navy blue colour, complimented by the stylish matte black chassis with exquisite Silver Cross detailing throughout. 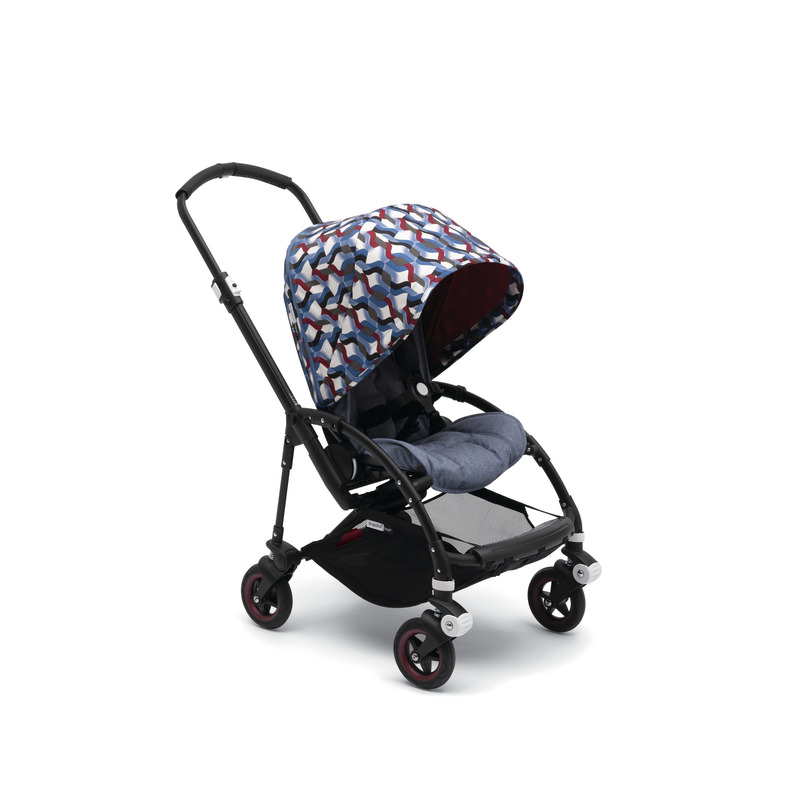 Like its counterpart, the Silver Cross Wave, the Coast expands from a single to a double stroller with the addition of a tandem seat or infant car capsule. 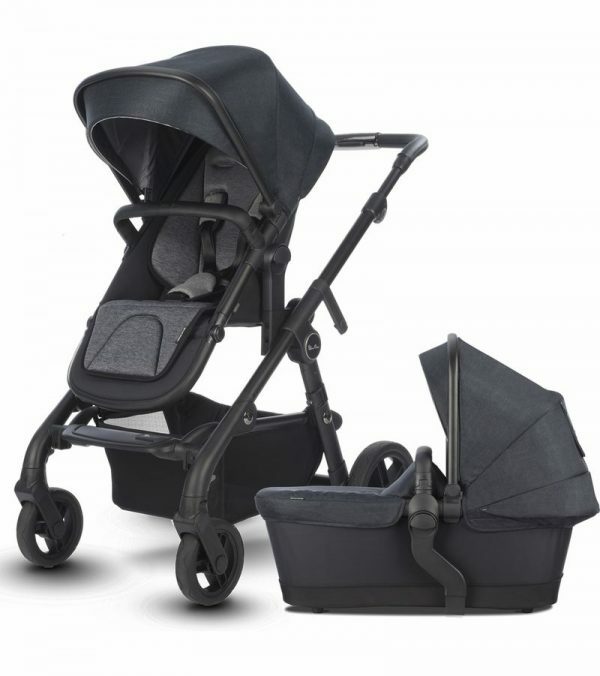 Once baby outgrows the bassinet, relocate the hood onto the toddler seat for a ride suitable for a child up to 25kgs) in single mode. 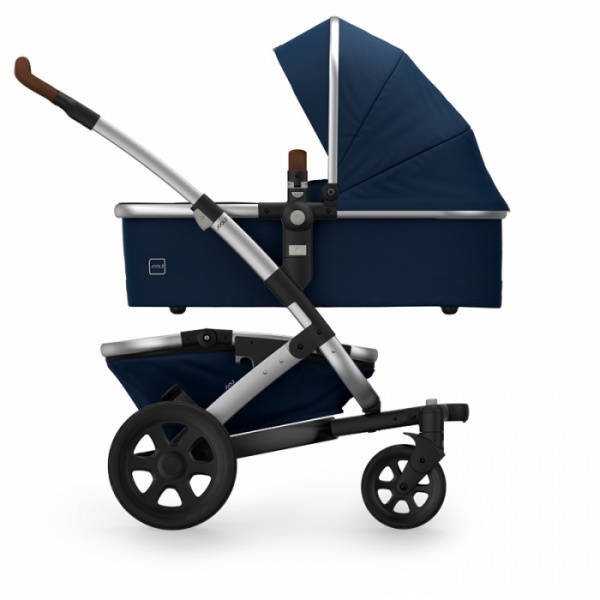 And once it’s time for baby #2, add the tandem seat (sold separately) or an infant car capsule (compatible with Maxi-Cosi or Nuna-Pipa) to create a double pram. 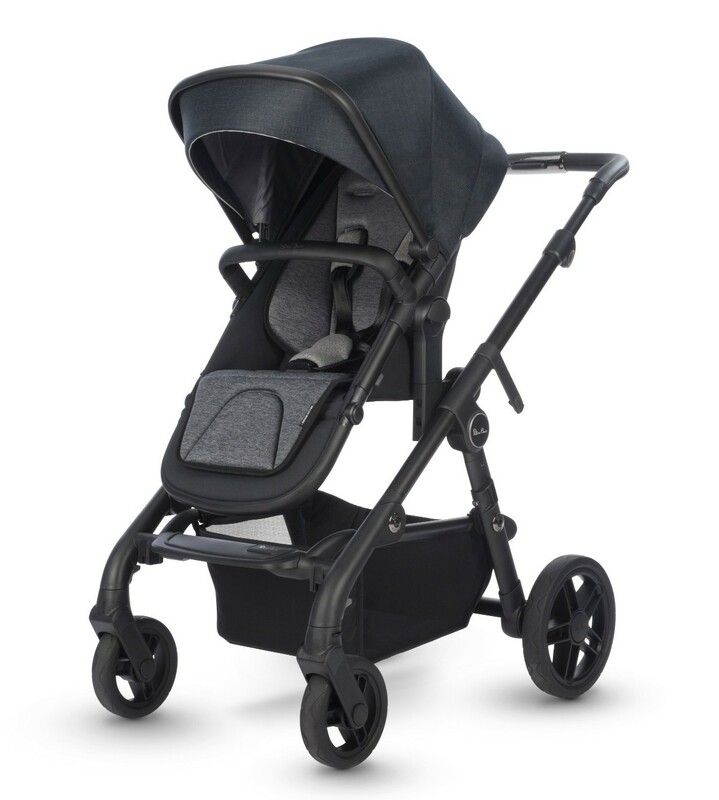 With its unique two-height riding position, Coast allows parents to adjust the frame to bring baby closer to them in either the bassinet or toddler seat. 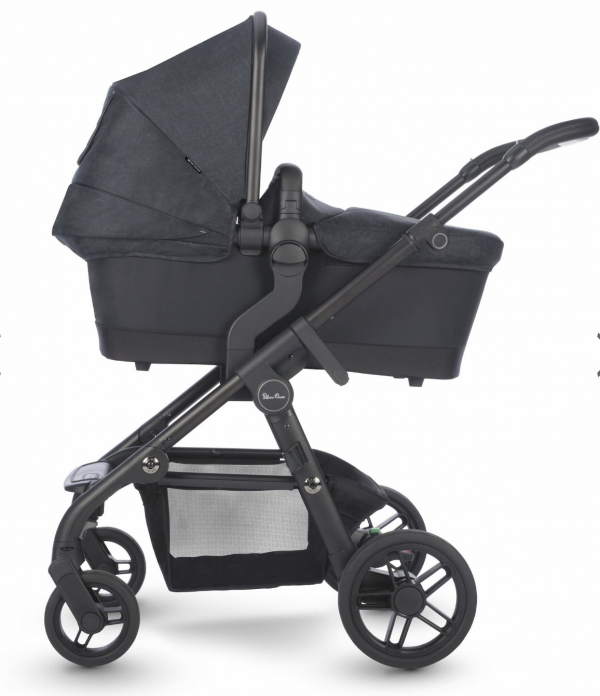 Coast chassis uses the highest quality magnesium alloy for maximum strength plus it has a four-way independent wheel suspension with puncture proof tyres. The bamboo fabric lining has natural anti bacterial qualities and helps regulate temperature. This fully reversible seat unit can be positioned to be forward or parent facing. The back rest has three adjustable positions including a full lie-flat position and an adjustable calf support. 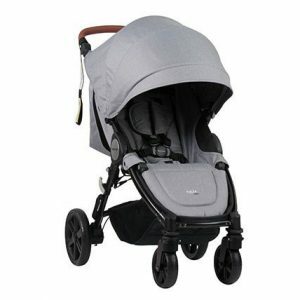 The roomy dimensions are suitable up to 25kgs. 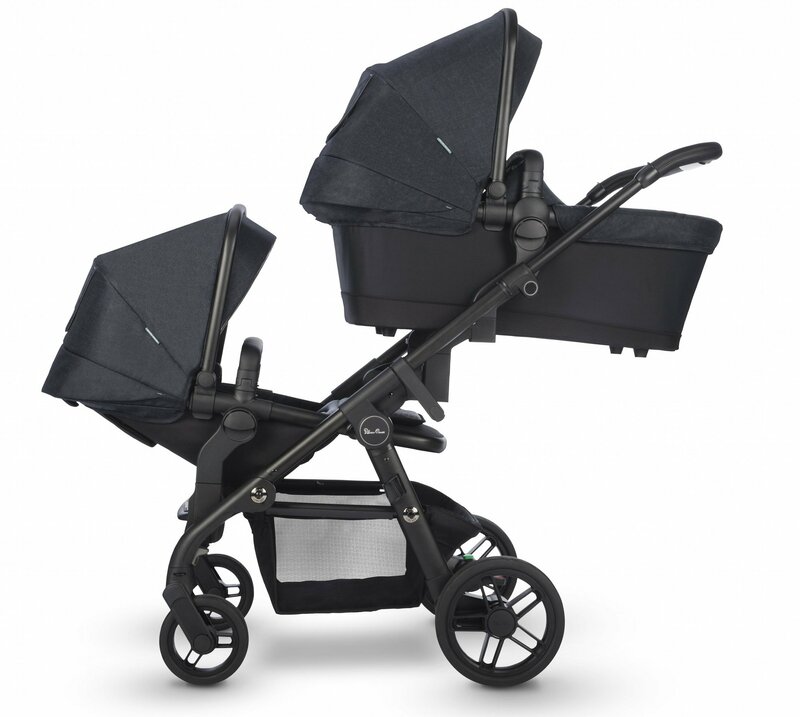 To have up to 27 configurations with your Coast pram, please purchase the additional tandem seat available in-store or online. View our full range from Silver Cross.